With the discussion beginning anew about how much money the Hoover City Council allocates to Hoover City Schools, we thought it would be helpful to share the most recent reports filed with the Alabama State Department of Education showing the source of funds (state, federal or local) for teachers and support personnel that work in our schools. These are summaries, by school, as of October 2015. There are two reports: one for certified personnel, one for support personnel. Certified personnel include any position that requires a certificate, which includes teachers and school-level administrators. Support personnel include all other positions, including bus drivers, bus aides, operations personnel, and some central office personnel. The source of funds indicates whether those personnel are paid with state, federal, or local funds. FTE is the acronym for “full-time equivalent” which simply means one full-time position. 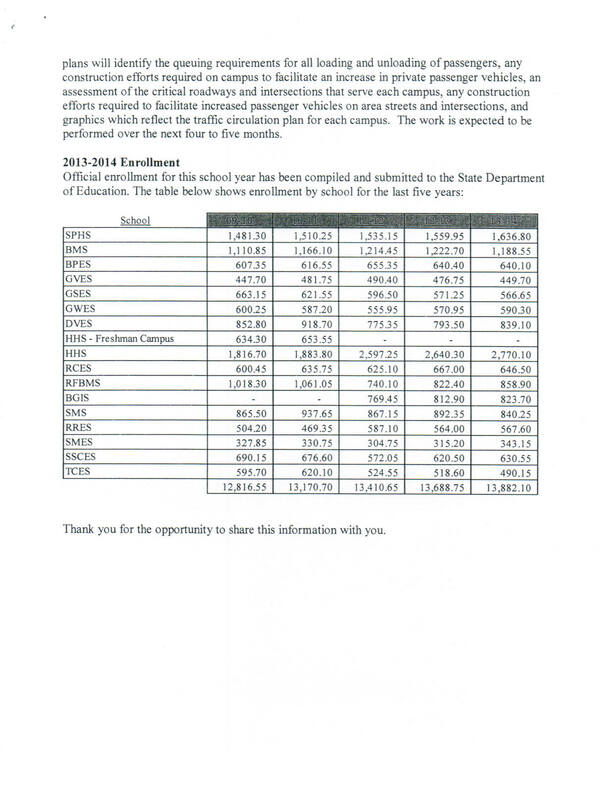 The amount shown is a yearly figure, only depicting base salary amounts. No academic or athletic supplements are included in these numbers. 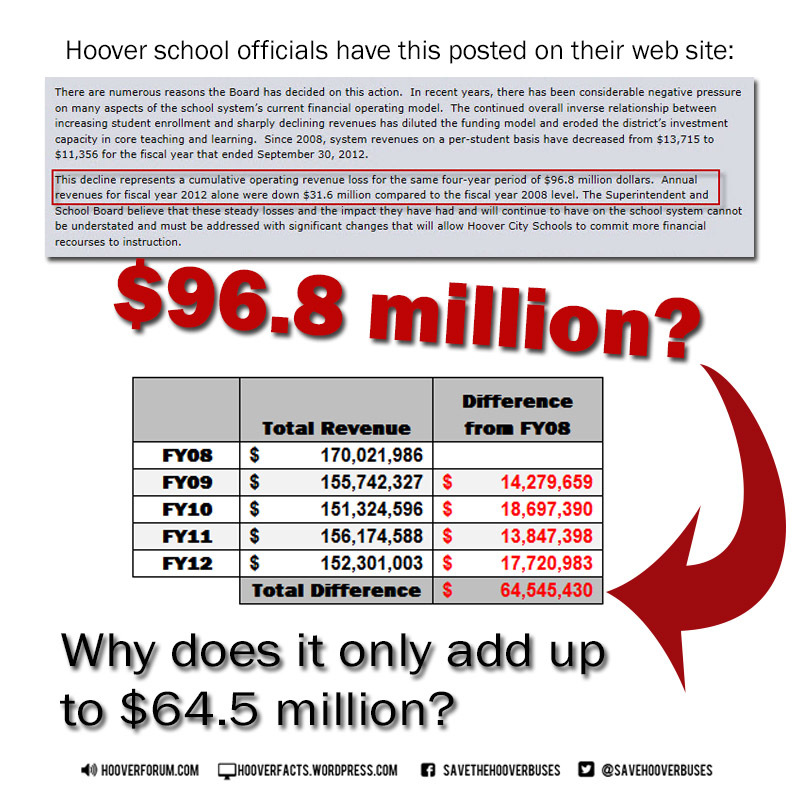 As you can see, Hoover City Schools use local money to fund a lot of certified personnel, particularly at the middle and high school levels. 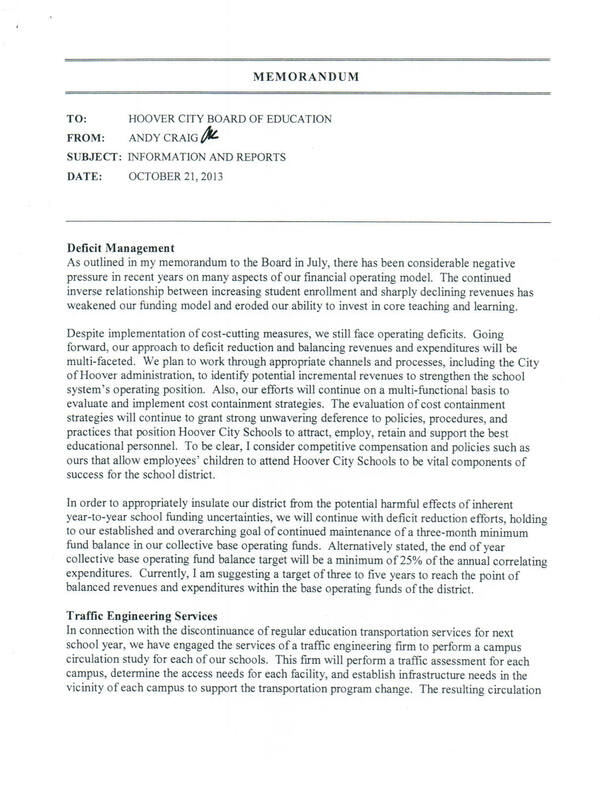 If you need more details about what the reports show, contact Hoover City Schools directly. The information below should get you started. Click each image below to make it larger. Or download the reports here. Refinancing the Long-Term Debt – Was It Really a Good Idea? Click to view the full graphic and video. If you’d rather (as in if the link above takes too long), you can just view the video. Every school district in Alabama is required to post their check registers online not later than 45 days after the end of the month. Go to the Check Registers page to view Excel spreadsheet compilations of Hoover City Schools’ check registers. Dates that each check was written are not made available to the public. To see individual month’s check registers, go to the Hoover City Schools official web site finance page. 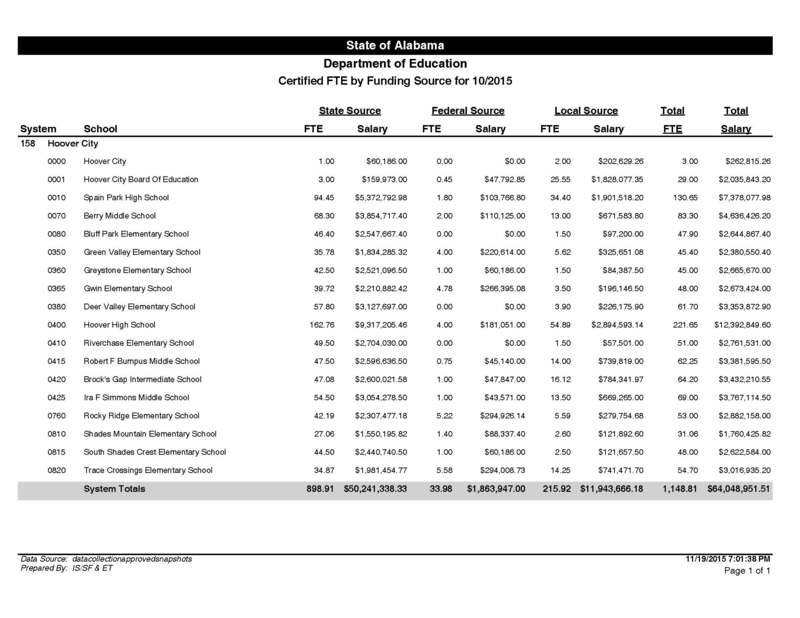 The point in compiling and reviewing these is to see where the board of education is spending our money. These are only district-written checks, not individual school’s checks. Those are not published. Please be responsible as you review these expenditures. There is usually an explanation for why the check was written. If you wish to know why a particular check was written, contact Jason Gaston, Communications Director at jgaston@hoover.k12.al.us. The board of education approves these expenditures, month-by-month, at each board meeting under the “Financial Statements” portion of the agenda.